TicketsatWork.com has a sensational ticket special for anyone thinking about a return trip to LEGOLAND® California, or for those families planning their very first visit to the fun and exciting theme park in Southern California. Right now you can purchase our Resort Hopper special for big savings and the 2nd day is FREE! With 60-plus rides, attractions and shows available, LEGOLAND® California offers a ton of family fun. 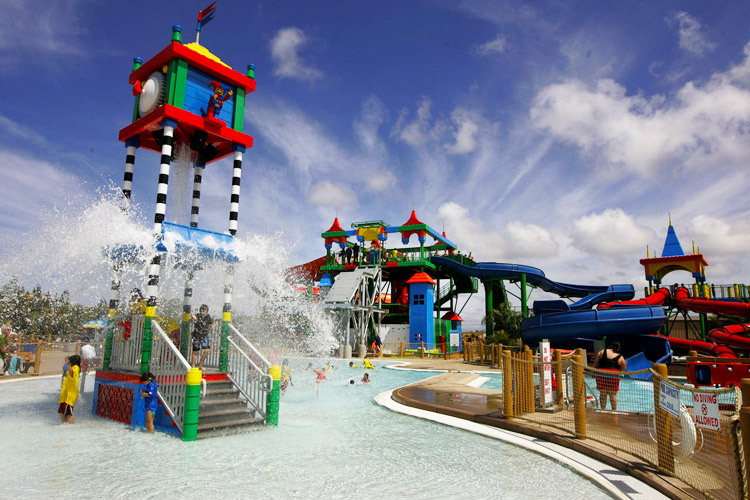 LEGOLAND® California Resort also offers two water parks for endless aquatics play and the SEA LIFE Aquarium. The awesome LEGOLAND Hotel features 250 rooms and is packed with a variety of LEGO features for the kids. Along with the original attractions, LEGOLAND® California has also recently debuted some cool additions to the line-up. The Star Wars area of the theme park’s Miniland features a scale model of the Death Star, a 1,900-pound masterwork made with half a million plastic bricks. Along with attractions like Fun Town, Land of Adventure, Castle Hill, and Imagination Zone – among many others – a day at LEGOLAND® California equals fun and excitement for the whole family. And looking ahead to this spring, LEGOLAND® California Resort will open a new LEGO® NINJAGO® World introducing, LEGO® NINJAGO™- The Ride, featuring technology never before seen at any other theme park in the world. If you’re thinking about new travel adventures for the family this year, you can’t go wrong with a trip to LEGOLAND® California. Build your next visit to LEGOLAND® California with special savings from TicketsatWork.com.